The majority of companies that store, process or transmit Personally Identifiable Information (PII) are required to have an annual third party security assessment. In many cases, your firm is asked to submit (and prove that you submit) to a particular standard. 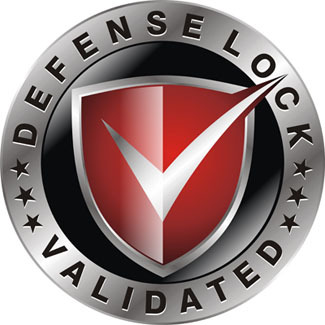 The Defense Lock Validation program, since it applies to multiple standards, is the ideal tool to enforce your organizations Information Security compliance. The Defense Lock "Seal of Validation"
The Defense Lock 'seal of validation' program is based on a life cycle approach. Based on an onsite gap analysis/baseline measurement and on-going remote management, this is a complete solution for businesses who don't want the hassle of continual auditors on site.